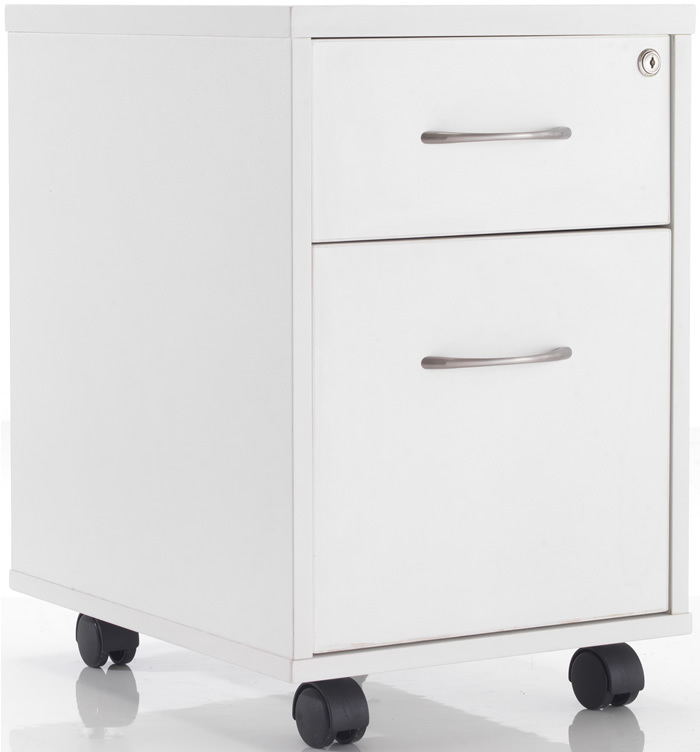 The TC Office Start white 2 drawer deluxe mobile pedestal features four wheels for easy manoeuvring and stylish chrome finished handles. For security the 2 drawers are lockable and the unit is supplied with two keys. Storage solutions include a large bottom drawer for hanging document filing with a smaller storage drawer above. Fast UK Mainland Delivery: 1-5 business days.